Five Disney Films I've Never Watched! Hello! 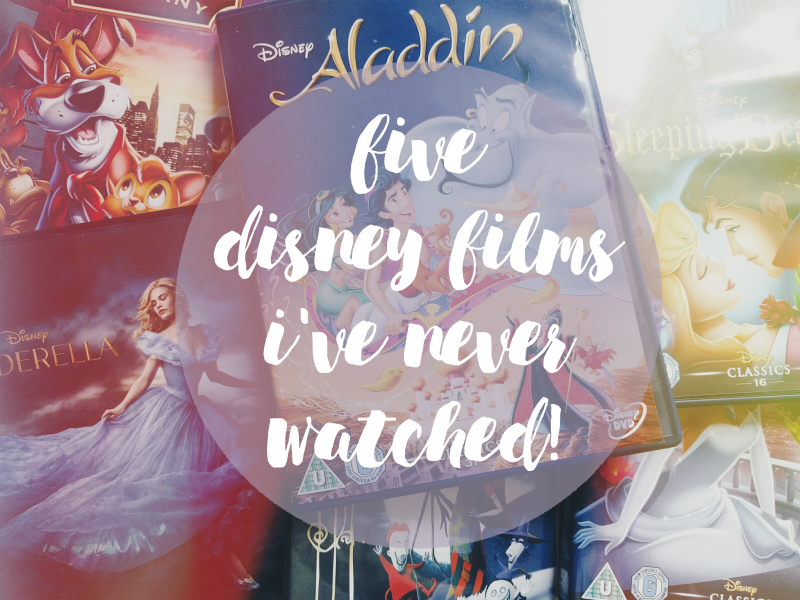 Today I'm going to be admitting just what a terrible Disney fan I am by revealing five Disney films I haven't seen yet! There's actually a lot more than five (oops) but I chose these five for this post as they're generally the most popular/well-known of the films I haven't watched. Let's begin! This film has seemed to completely pass me by! I remember it coming out in cinemas but I never got round to seeing it and I've mostly forgotten about it since. Although now that I recently found out that Phil Collins wrote/recorded some of the songs I'm a lot more eager to see it! This is definitely the film that I'm most ashamed with myself for not seeing yet! I'm constantly seeing quotes/gifs etc. online from this film so I need to sort myself out and watch this soon! I think I've seen little snippets of this film in the past but never all the way through... I don't even really know what the story is about but I know a lot of people love this film! And finally the film that inspired this post! I posted on Instagram to say that I'd never watched this film before and everyone was singing it's praises! Now that I've got my paws on the DVD I'll have to get to this film soon as it seems like one that I'll really enjoy. Have you seen any of these films? What Disney films have you not seen yet? I'd not watched Wall-E until recently, I was worried I was going to be left heartbroken...probably an unpopular opinion but I didn't love it! UP, is great but I've not fallen for it the way everyone else has. But I haven't watched the rest, so you're not alone...I don't really have a valid excuse either, I've just never watched them! These are now top of my list to watch! One Year Blog Anniversary Giveaway!